Did You Know You Can Cook with Tequila? Tequila is a magical agave-based spirit that soothes our soul in margaritas and other go-to tropical concoctions. But did you know that tequila also is a miracle-maker in cooking? It's true - tequila adds a subtle sweetness and feisty punch to a variety of different dishes. Breakfast, lunch and especially dinner, there's many ways to add tequila to your meals. Marinating meats really takes their flavors to a whole new level. Take that flavor up a notch higher by incorporating tequila into marinades. Chicken, pork, beef and even seafood - all can be enhanced thanks to the magical wonders of tequila. Add all ingredients to a large bowl and mix together until combined. Pour over cuts of meat and refrigerate for 2-3 hours or overnight. 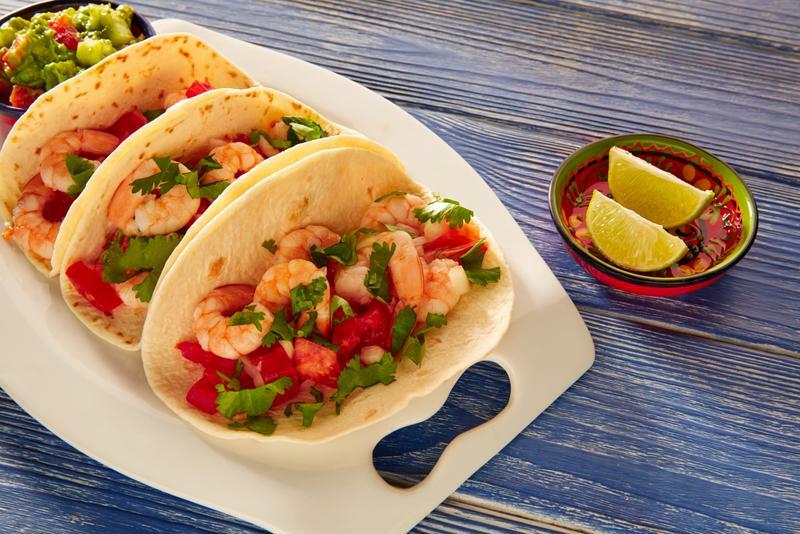 Add tasty new flavor to shrimp tacos by incorporating tequila. Place the tequila, olive oil, cilantro, salt and pepper in a large bowl and stir to combine. Add the shrimp and toss to coat evenly. Add serving of shrimp to a taco shell and top with chopped mango and onion and shredded cabbage. Repeat for remaining taco shells and serve. Mix all ingredients except avocado cubes and beans in a food processor for 1-2 minutes. Fold in avocado cubes and beans into salsa; serve alongside tortilla chips. 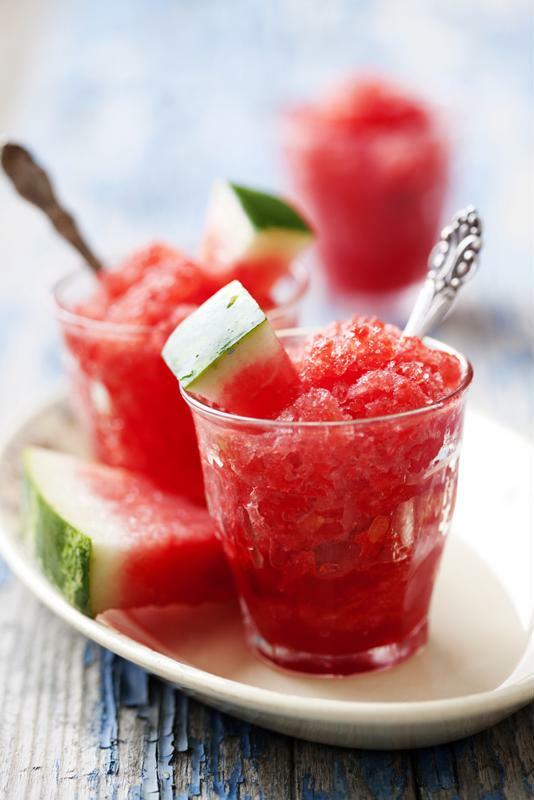 Add tequila for a refreshing watermelon sorbet with a twist. Add ice to the ice reservoir and all remaining ingredients to the Margaritaville® Frozen Concoction Maker® glass jar. Mix and spoon sorbet into small bowls. Garnish with small watermelon slices and enjoy. Make it more fun to load up on your greens when you whip up an easy, tequila-infused dressing. Top your salads with crispy tortilla strips, corn and black beans, then drizzle it all with the creamy dressing below. It gets the party started way more than plain old ranch ever could! Combine all ingredients in a blender until smooth. Pour over salad and enjoy. Spoil yourself - you deserve it! Tequila makes a sweet and chocolately frozen dessert concoction even more indulgent. Add ice to the ice reservoir and all remaining ingredients to the Margaritaville® Frozen Concoction Maker® glass jar. Concoct and pour into glasses. Garnish with orange slices, a swirl of whipped cream and a sprinkling of chocolate shavings before enjoying. Just because your bar is located in your house doesn't mean you can't develop the skills of a master mixologist.